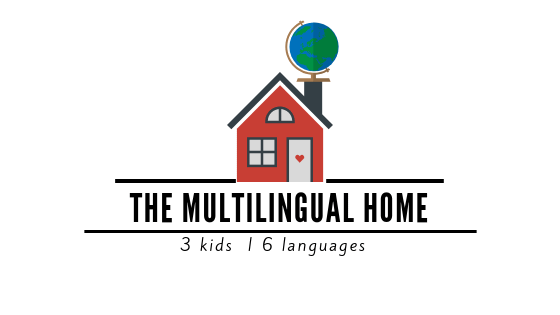 There are many other families who are participating in this challenge across the globe on Instagram. 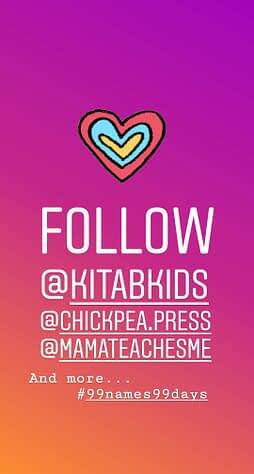 @Kitabkids was the account who started this challenge a few years back and if you go through their different crafts and activities you may be in awe like I was. 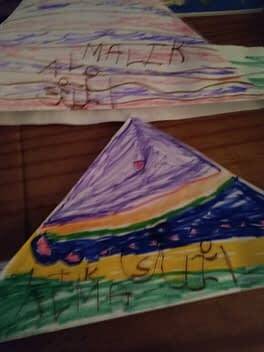 My kids and I are going to try to do at least one activity and / or craft each day based on each name. 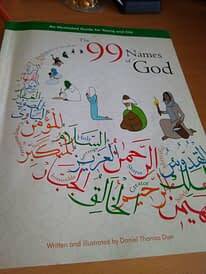 We will be reading about the name from the book “99 Names of God” by Daniel Thomas Dyer from Chickpea Press each day. 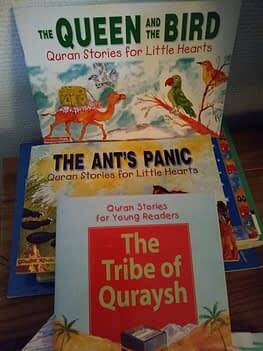 We may also be reading another Islamic or secular book inspired by the name. Each week, I will post the seven or eight names that we did that week with a picture (if applicable) and a description. We cut up little mosaic tiles from construction paper in red and purple hues and also cream colored paper. 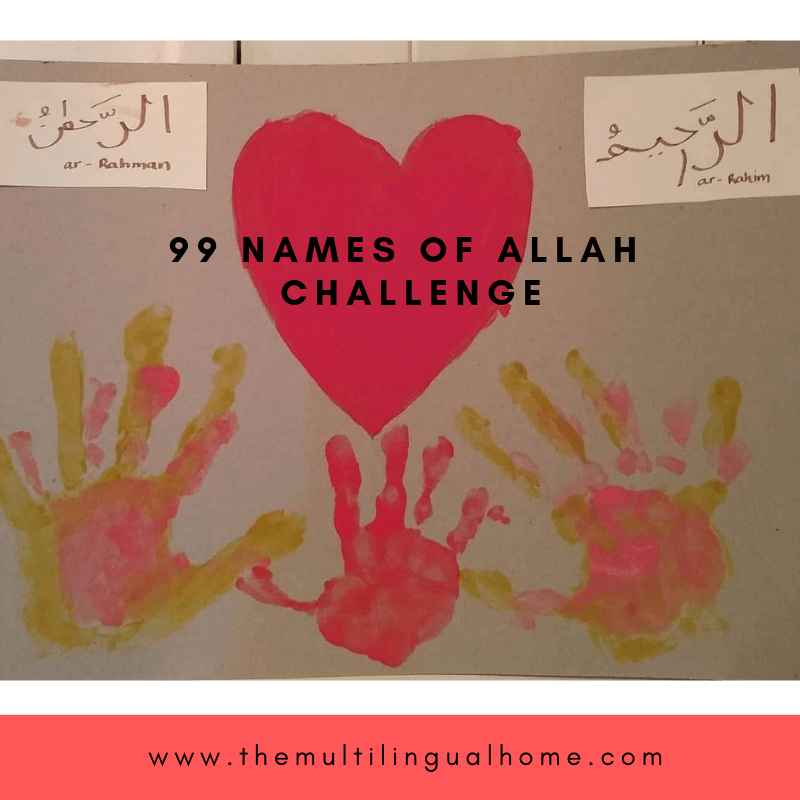 We made a mosaic with Allah’s name, which takes a long time figuring out where the pieces go, it encourages children to be patient. Mr. Z wasn’t very patient and actually stopped half way through so I just ended up writing Allah’s name in a calligraphy pen. 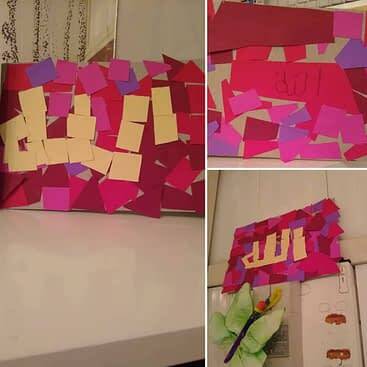 We read the book “Who is Allah” by Goodword. Ar-Rahman means the Compassionate one and Ar-Rahim means the Merciful One. 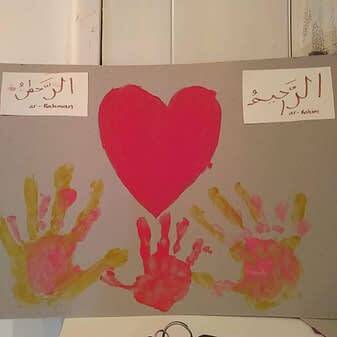 We decided to paint our handprints with a heart as a reminder of a mother’s love and compassion for her children and the representation of Allah’s love for us through these two names. Al-Malik means the Sovereign or King. We decided to read some Goodword books about good kings and bad kings like “The Queen and the Bird”, “The Tribe of Quraysh” and “The Ant’s Panic”. We made crowns out of paper and praticed writing our Arabic letters. Al-Quddus mean the Holy and Pure. In the book “99 names of God” by Daniel Thomas Dyer, he relates the name to waking up to snow and seeing how everything is so perfect. 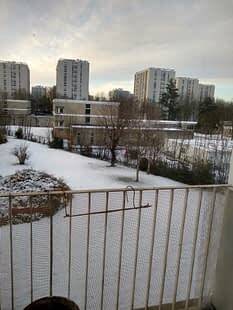 I hadn’t really planned an activity for this day, because it was supposed to snow, I wanted the kids to see this snowy scence that the author talked about in the book. 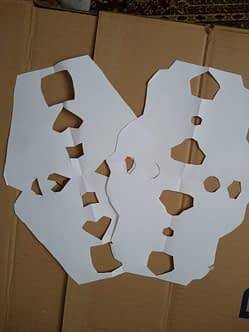 But when the snow didn’t come, we ended up making paper snowflakes at the last minute. The next morning, there was snow on the ground, so we were still able to talk about the story. As-Salam means Peace. I read once that when someone is sick, it is good to recite the name of As-Salaam and breathe on them. It made me think that when someone is sick all they want is quiet and rest , thus be at peace. Therefore, the name really does make sense. 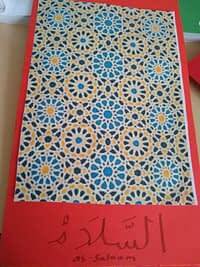 We made cards with Islamic designs and this name for my children’s teachers at the mosque thanking them for their service. Al-Mumin is the Inspirer of Faith and Al-Jabbar means The Compeller. We decided to repair a broken heart and put it back together. Since the root word for jabbar in Arabic means “to heal a broken bone”. 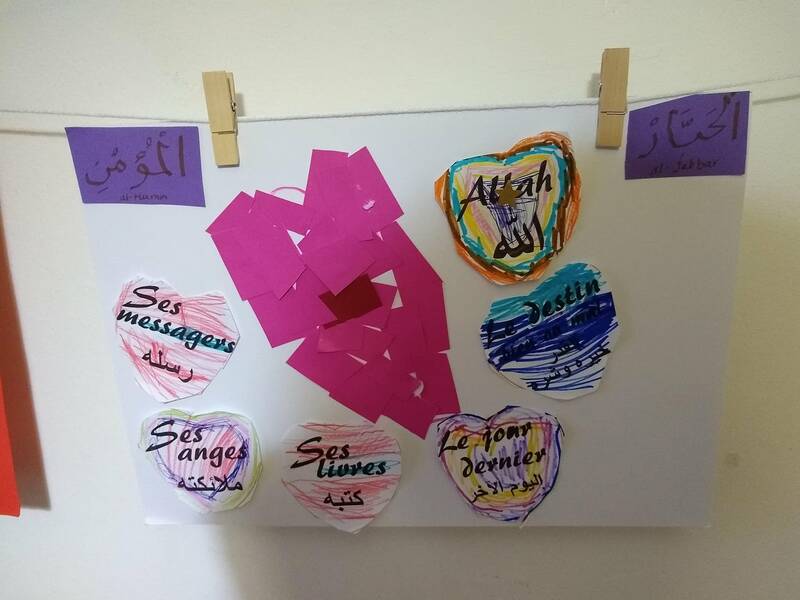 We reviewed the six principles of Islamic faith with making this heart craft. The hearts are in French, but it could be made in English or another language easily. The printable came from here. Our challenge will continue next week InshaAllah(God willing). Subscribe to our newsletter in the right hand column to stay informed on when new posts become available. If you are interested in participating in this challenge with us, please tag us on Instagram.